3. 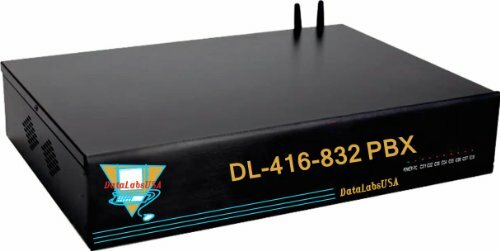 DataLabsUSA DL-416 4 Line 16 Extension PBX w/ Music On Hold and Auto Attendant Telephone System! Up to 4 Lines and 16 Extensions! Auto Attendant built-in allows a recorded OGM (Outgoing Message) and allows the caller to dial an extension number! 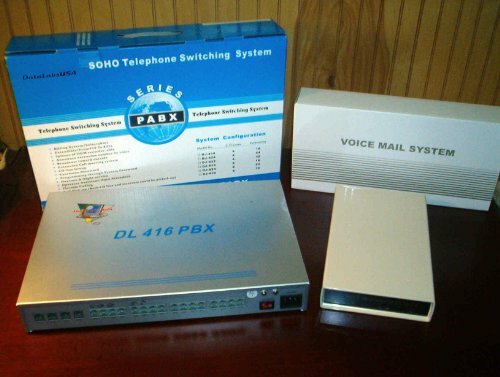 Ringing Intercom, Transfer Calls, Secretary and Brokers Calls, Hold callers w/ Music On Hold! Rugged All Metal Case, Easy RJ-11 Standard Jacks for all connections -- perfect for the SOHO "do it your selfer"! Compatible with all single or dual line standard "off the shelf" touch tone phones supplied by the user - no proprietary phones necessary! Program with same phone - No computer needed! Looking for a low-cost way to play music for callers placed on hold? 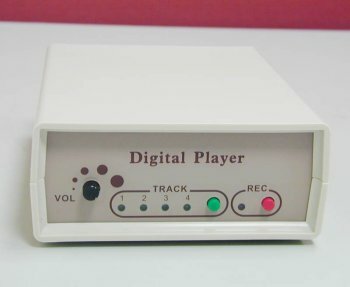 With an On-Hold Plus CD and any regular compact disc player, you can add music to any On-Hold Plus music-on-hold adapter or PBX phone system. Small - light weight - low power cool running reliable design! Compares to units selling for twice the price! Stops recording on silence default option! Up to 256 mail boxes -- 256 audiotex menus in up to 4 tiers. Over 40 built in Voice Prompts are customizable! Over 1000 outgoing messages available! 19. 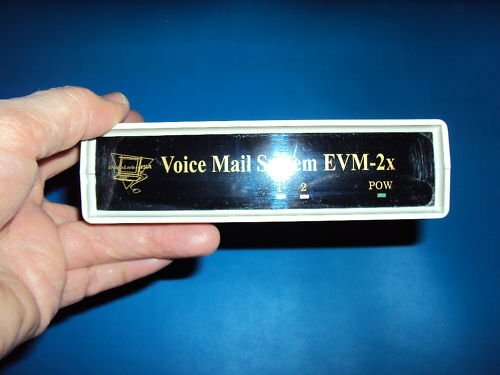 DataLabsUSA Voice Exec EVM-8x 4 Port Answering Machine w/ Voice Mail System! 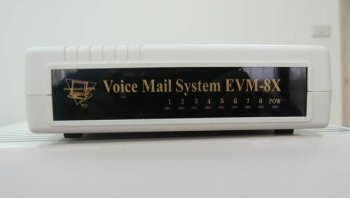 170 Mail boxes - 256 Audiotex Menus - up to 26 hr. Message time! Over 40 built in voice prompts are customizable by the user.